Happy Wednesday! Today, I’m back with another Disney Restaurant Review and boy, is it a good one! 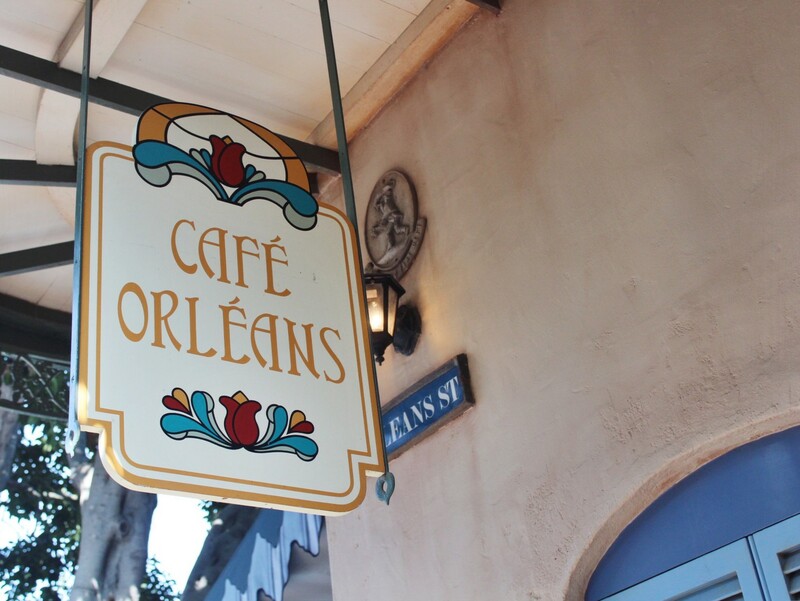 That’s right, today’s Disney Restaurant Review is dedicated to the one and only Cafe Orleans (located in New Orleans Square at Disneyland). I’ve talked about this (very) briefly on the blog before but I am OBSESSED with all things New Orleans (in fact, visiting New Orleans is on my 25 before 25 bucket list!). I’m in love with all the food, beauty and culture New Orleans has to offer. I think one of the main reasons I’ve always liked New Orleans (even though I’ve never visited) is because of the similarities it has to my hometown Chicago in respect to jazz music. Needless to say, I just love all things New Orleans. Luckily for me, Disneyland’s New Orleans Square has the perfect amount of “all things New Orleans” to satisfy my NOLA craving (and it also happens to be home to two of my FAVORITE Disney rides: Pirates of the Caribbean and The Haunted Mansion!). 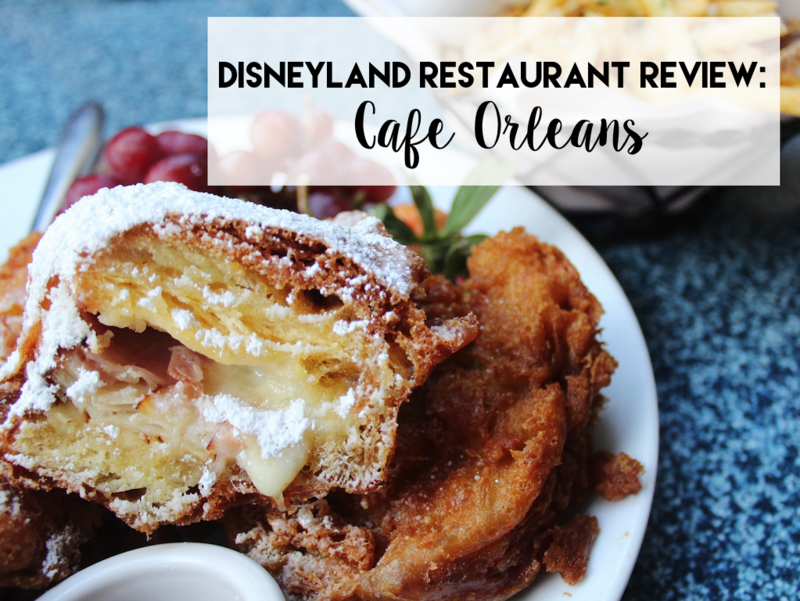 Since I frequent the Disney Parks so often, I’ve had the wonderful opportunity to dine at practically every Disney restaurant and if you’re looking for good food, good prices and a charming atmosphere, then look no further than Cafe Orleans! 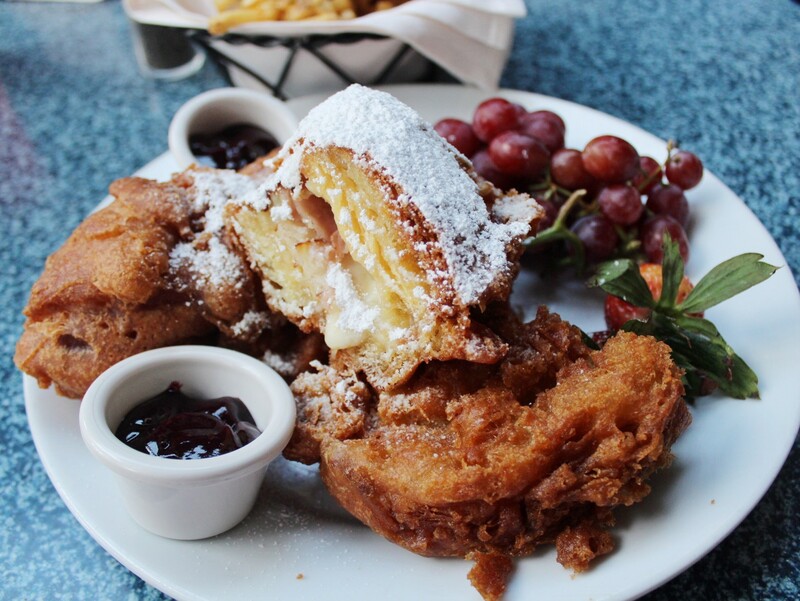 When it comes to the most bang for your buck, Cafe Orleans is definitely one of the best restaurants at Disneyland (three words: Monte Cristo Sandwich! 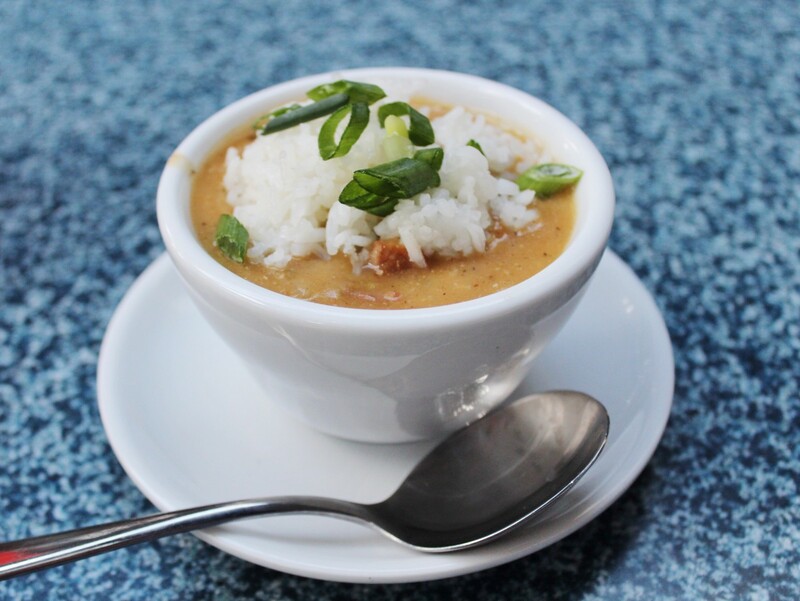 ), especially if you’re in the mood for Creole or Cajun food! 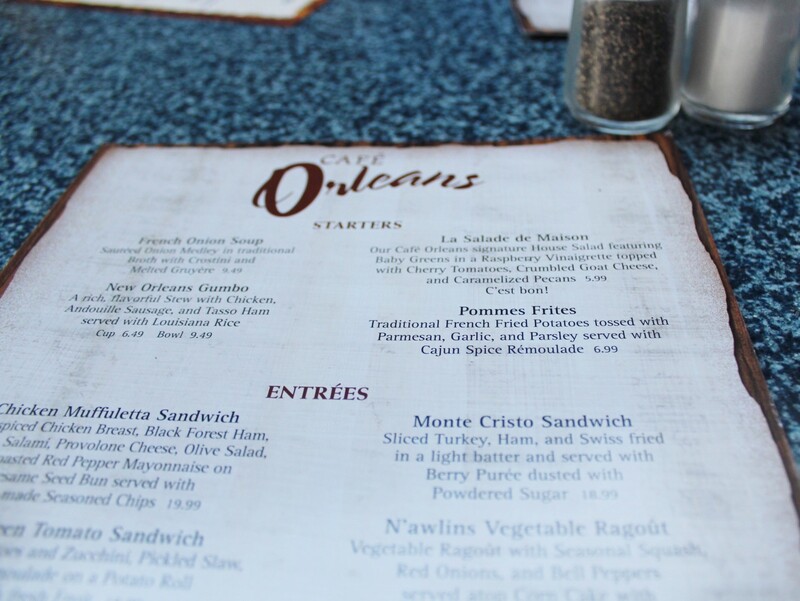 While the iconic Blue Bayou restaurant (which is also located in New Orleans Square inside the Pirates of Caribbean ride) has a similar (almost identical) menu, Cafe Orleans is definitely the more economical option. Although, I do recommend everyone experience the Blue Bayou at least once (although you can literally get some of the SAME food cheaper at Cafe Orleans, nothing beats the amazing experience of dining INSIDE the Pirates of the Caribbean ride. The atmosphere itself is worth the overpriced food!). Depending on the day and crowd level at Disneyland, it can take anywhere between a 15 minute to an hour wait for a table at Cafe Orleans. But be mindful, on holidays or days with extremely high crowds (which is often during weekends), Cafe Orleans can turn into a “reservation only” restaurant (when I ate there on Valentine’s Day, I had to make reservations almost a month in advance). Fun fact: I LOVE Gumbo! Whenever I dine at Cafe Orleans, I always get two starers: The New Orleans Gumbo cup (which is a rich, flavorful stew with chicken, andouille sausage, and tasso ham served with louisiana rice) and the Pommes Frites! The Pommes Frites are traditional french fried potatoes tossed with parmesan, garlic, and parsley served with Cajun Spice Rémoulade and they are a MUST! 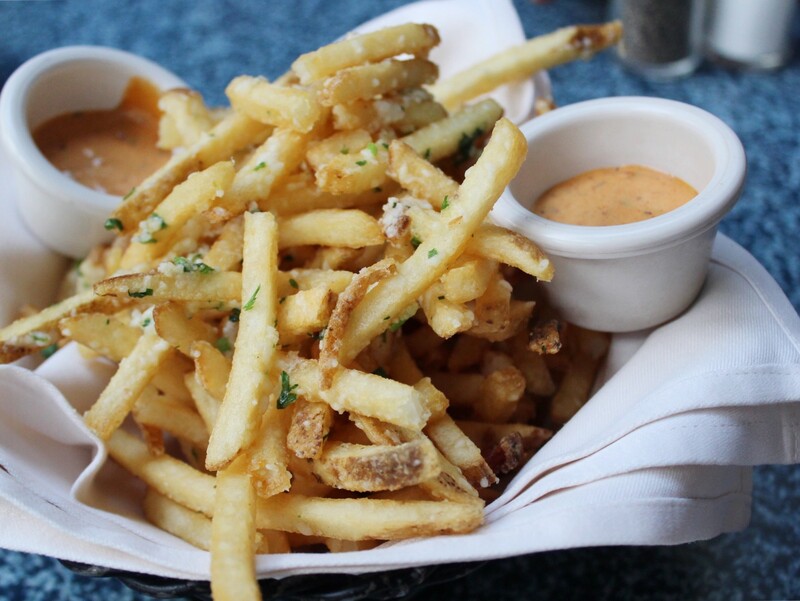 While the fries are good on their own, the Cajun Spice Rémoulade takes them to a whole other level! 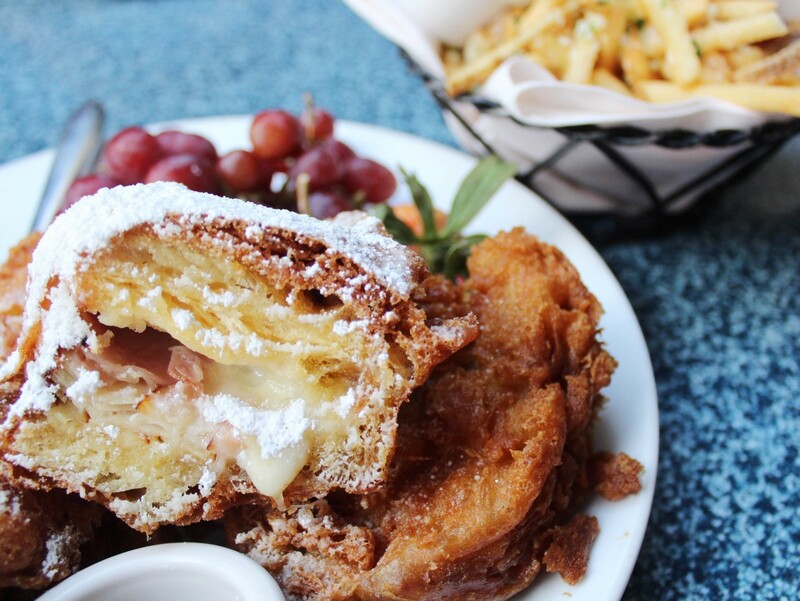 If you’ve been to Disneyland before than I’m sure you’ve heard of the famous Monte Cristo Sandwich but if you haven’t, LET ME TELL YOU, this sandwich is INSANE! 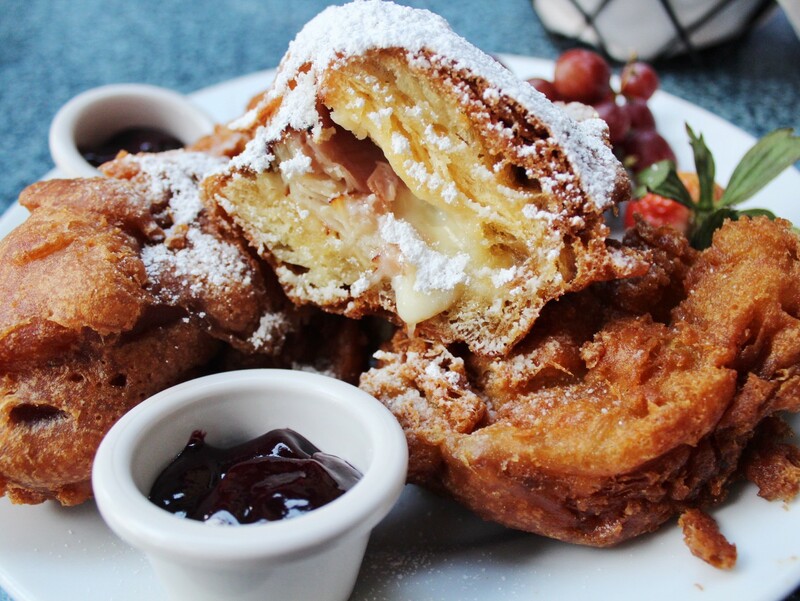 The Monte Cristo Sandwich consists of sliced turkey, ham, and swiss fried in a light batter and served with Berry Purée dusted with powdered sugar (yes, you read that correctly. This sandwich is covered in powered sugar!). Words can’t even describe how yummy this sandwich is (and I’m not even a big fan of ham) so I’ll let the pictures do the talking. 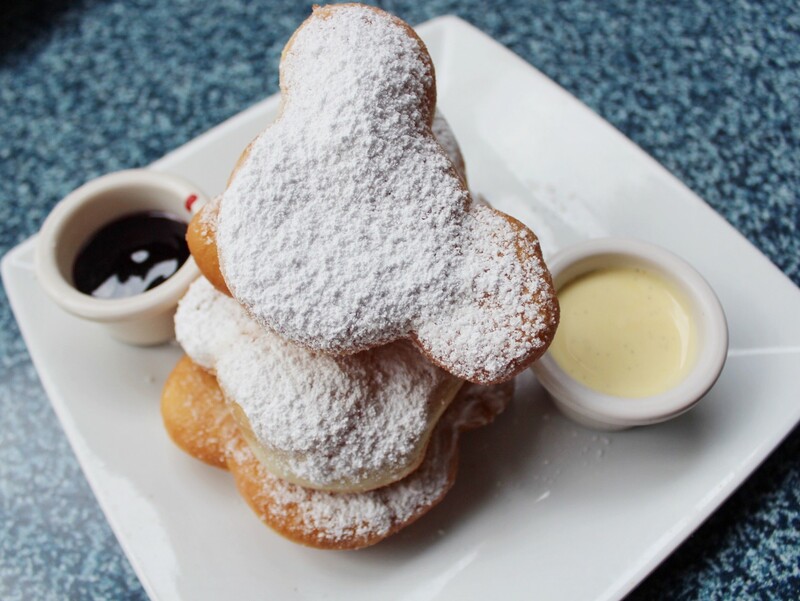 Of course no visit to Cafe Orleans would be complete without Mickey-shaped Beignets (aka one of the YUMMIEST things you will EVER taste! It might be tied with Dole Whip as one of my FAVORITE Disneyland treats! ).